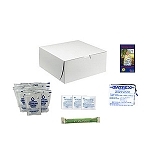 200 Calorie Food Bars - Datrex food bars provide essential energy and nutrition in emergency situations and are an excellent addition to any emergency preparedness supply. 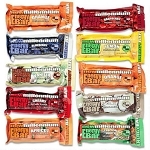 These survival food bars taste great and have enough energy to sustain an individual for up to three days. 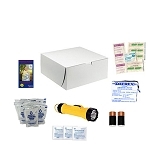 These individually packaged and tabletized rations will last 5 years and are great in 72-hour kits, for your home, school, vehicle or office. N-95 Mask Particulate Respirator. Keep dust, dirt and bacteria from entering your mouth, nose and lungs. Prevents germs from getting into you respiratory tract. Easy to use. Inner foam provides a custom seal with new and Improved Comfort. Dual head strap for optimum fit. Maintenance Free NIOSH Approved. Emergency Poncho with Hood. Lightweight, compact, reusable, can easily fit in your backpack, glove box, or even your pocket. This adult one size fits all. 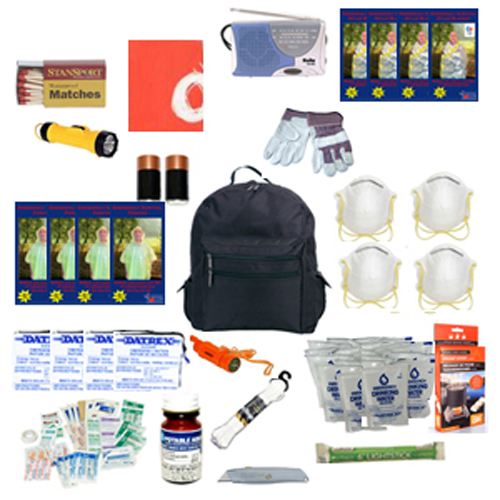 This is the perfect, inexpensive option for emergency weather protection. Essential for rain, mist or wet conditions. Use as a ground cover, window cover, etc. 2 Person Tube Tent with Rope. Set up camp simply with the Emergency Tube Tent. This emergency tent is easy and fast to setup and lightweight. Get you out of the elements quickly, can be used as ground cover and/or wind break. 50 feet of nylon rope. All purpose. This nylon rope is extremely strong and durable. It has many uses and is easy to work with. Hang tarps for protection from the elements. Use to dry clothes or Tie down objects. 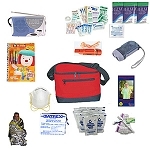 Comprehensive First Aid Kit good for all types of emergencies. 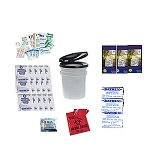 Bandages, wound cleansing and closure. 5 in 1 Emergency Whistle. Contains: This handy tool has a compass, signaling mirror, flint starter, a waterproof container, and lanyard. It is a very loud shrill whistle. The sound travels over 1 mile. Folding Stove: Ideal for emergency kits. Folds up into a compact unit for easy storage. Opens to two cooking positions. Fuel tablets burn without odor and ignite easily.